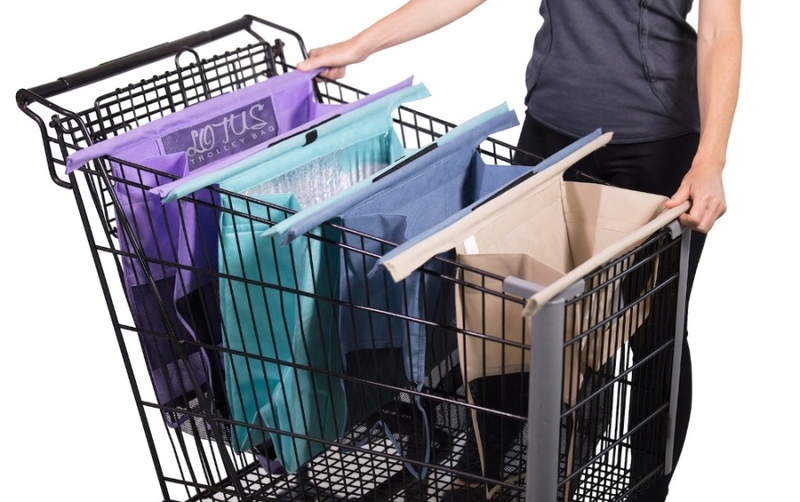 Lessons from leaders who endured setbacks and recaptured success on their terms. All business leaders face adversity, and some endure very public setbacks at the pinnacle of their careers. Not all of these individuals are able to reassess their lives and move forward with a newfound sense of purpose, but some do, turning adversity into success and redefining success through their leadership. 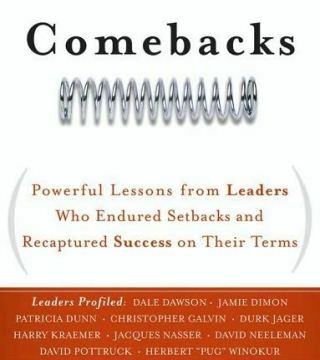 In “Comebacks” (Jossey-Bass), co-authors Andrea Redmond and Patricia Crisafulli profile ten business leaders who suffered devastating setbacks, yet managed to bounce back and move forward with a newfound sense of purpose. Among the individuals featured: Patricia Dunn, Harry Kraemer, Jacques Nasser, David Neelman, and Jamie Dimon, the latter chairman and CEO of JPMorgan Chase, who, at the peak of his career with Citigroup was fired as president. Failure queried Redmond—a consultant who advises management assessment clients on executive recruiting, management assessment, and succession needs—about the book and its themes. Following is an edited transcript of her responses. How did the idea for “Comebacks” originate? The idea for the book started with a conversation I had several years ago with the late Jim Cantalupo, who was CEO of McDonald’s. Jim related a prior time in his career when he had been passed over to become CEO and eventually left the company. (He later came back and became CEO). He shared what it was like to be so close to getting the job he wanted, only to lose out, and then have the news broadcast everywhere. Jim shared his experience with me so candidly, I knew then I wanted to do a book about how CEOs endure setbacks, what gets them through, and what they do next. How did you choose your subjects? How did you gain access? In interviews, how did you get them to open up about these incredibly personal experiences? Because of my work as a consultant and executive recruiter, I knew many of these people—or I knew people who knew them. That made getting access a little easier. In our interviews we established a sense of trust based upon our clearly stated intention, which was that we were writing a book about their experiences in order to discover lessons learned. What were some of the underlying themes that you kept coming across? Did you notice any personality traits that the leaders had in common? The common themes included resilience, having a plan and being deliberate, and redefining what it meant to be successful. For some this meant dusting themselves off and getting back in the game. For others, it created an inflexion point to reassess their values and goals and to consider what a life of significance would look like. Self-knowledge and the ability to be introspective are common traits among those able to go from setback to comeback. Whenever an employee is let go from an organization, the process is difficult, but at least it’s usually private. The people in your book are or were public figures. How did this affect them? When a CEO or another business leader is fired, resigns, or “gets the rug pulled out,” it plays out so publicly. Suddenly their picture is everywhere—on television, on the front page of the business section, on the Internet. What is private upset for the rest of us is public embarrassment for them, and it can be pretty humiliating. What can the average American take away from your book? First, it’s important to recognize that everyone has setbacks. No one is immune from some kind of upset, whether professional, personal, or health-related. One of the lessons from the book is the importance of not clinging to someone else’s definition of success. You are not your current or past job title. Success is what you define it to be. Tell me about some of the most inspiring stories in the book? What I found most inspiring was probably the whole idea of defining what matters when the rug gets pulled. It does afford one an opportunity to reassess. For me, I was particularly inspired by Dale Dawson [TruckPro] who moved from a life of traditionally defined success to a life of more significance. Also, I found wisdom in Durk Jager’s words as he stated, “I did the best I could,” and came to a sense of peace. What defines success? And what defines failure? Success is defined at a certain point in time. Each of us has to define it for ourselves, and major losses and change tend to make us reassess. Failure is not living a life that matters.